Are we making the most of the powerful ideological tools at our disposal to fight the war against extreme Islam that is tearing our world apart today? Can we really say that we are adequately informed to decide what is right or wrong, good or bad, and voice informed views about what is happening in the world in the name of religion? 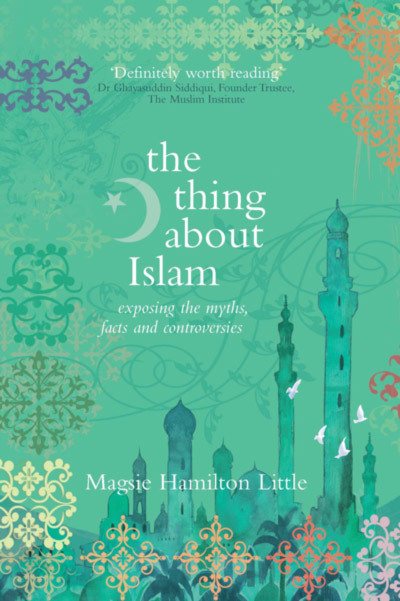 The Thing About Islam is aimed at those wishing to expand and develop their understanding of the facts and myths surrounding the world’s most hotly debated religion. But unlike many books written about Islam whose tendency is to condemn or praise, its perspective is neutral. As well as setting out key beliefs and customs, it asks key questions we might all have and highlights the challenges we all face in building a more secure and peaceful future for our children.